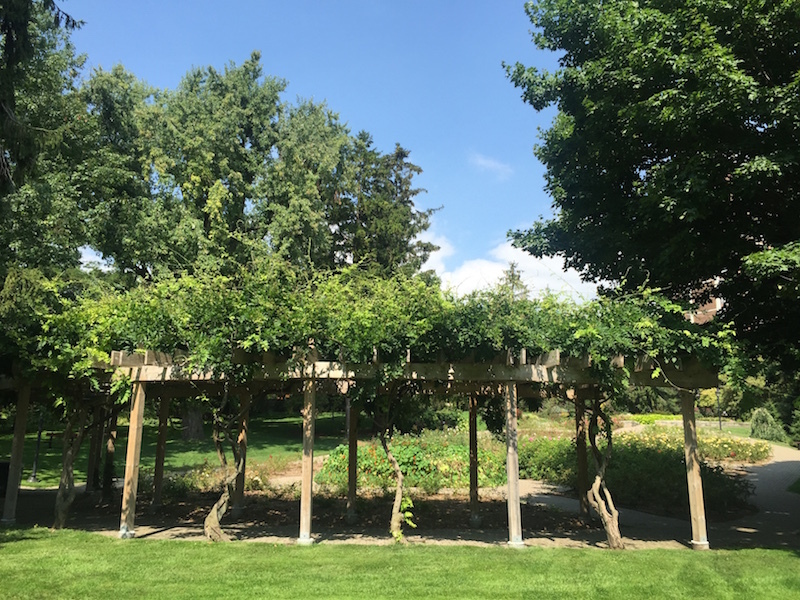 Rosetta McClain Gardens, a park that hugs the waterfront in Scarborough just west of the Bluffs, looks like the perfect place to have a picnic. 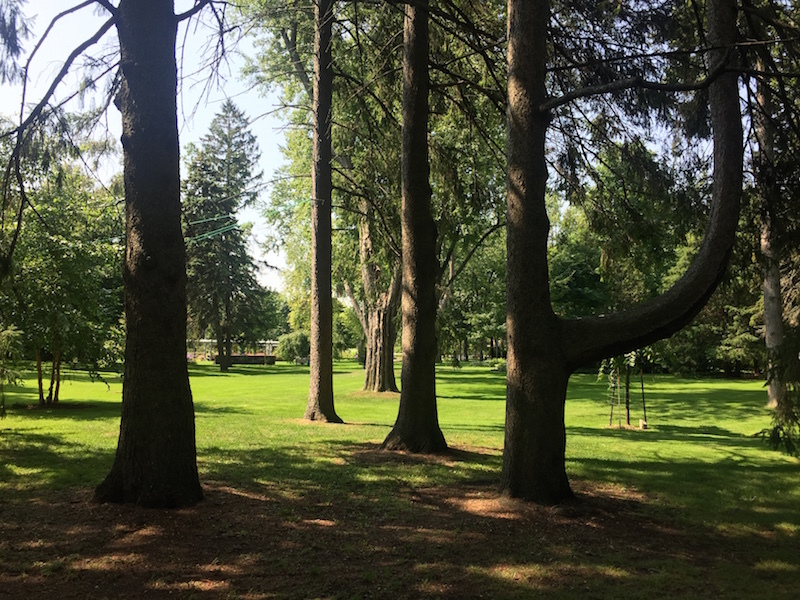 It has beautifully arranged and well-maintained flower beds, lush green lawns that roll out in every direction like carpet, large trees that provide shade, and criss-crossing pathways to let you meander. All in all a great spot to whip out the ol’ park blanket, uncork a bottle of wine, and unwrap a few sandwic–oh, what’s that? No picnics allowed? In a park that was basically designed with maximum appeal to picnics? Yeah, well, this is a garden park so no picnics. So says the City sign posted. And so says the (very polite and friendly) park maintenance staffer who had to go over and tell an older(ish) couple having a picnic that, really, sorry, so so sorry, they weren’t really supposed to be doing that. So fine, no picnics. I think that’s silly, but I’m not going to let that cloud my view of this park. 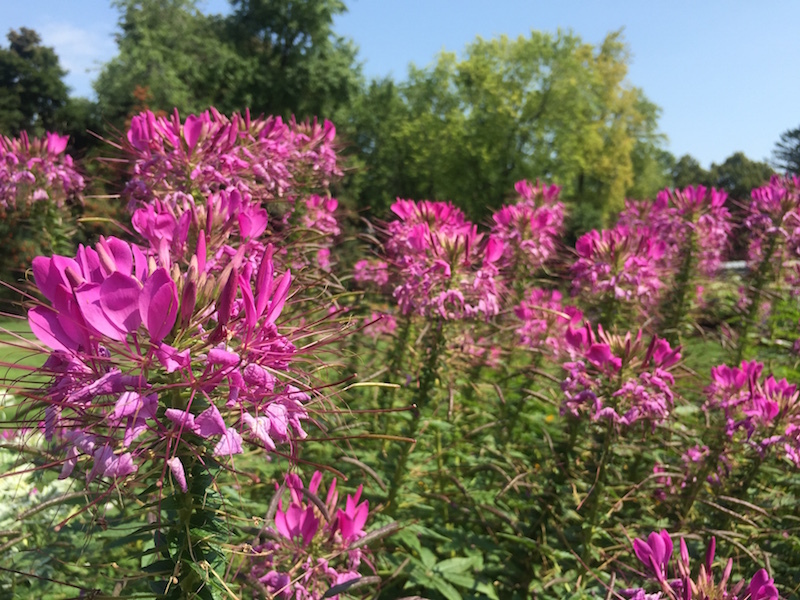 Because Rosetta McClain Gardens is really a wonderful, incredible gem of a place that I’m not sure too many people in this city know about. 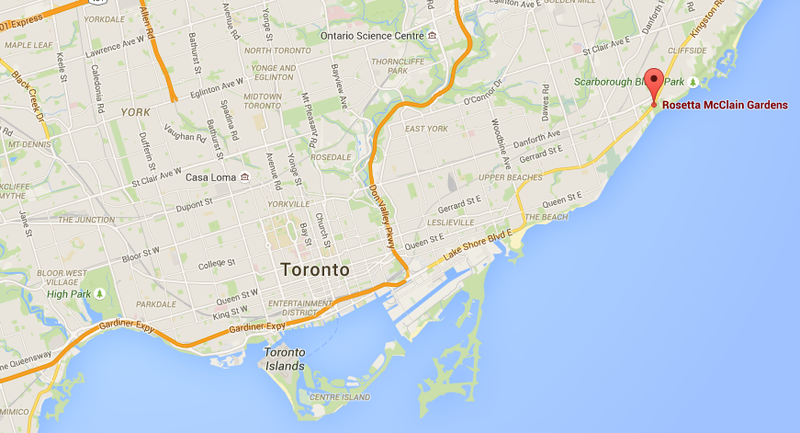 I biked there from my apartment in the Annex, which took about an hour. It was hot and sweaty and mostly uphill. Finally, after what seemed like forever biking, I pulled over to check my phone to see just how much farther this stupid park was anyway, which is when I realized that I had pulled over right next to the park sign: Rosetta McClain Gardens. I was here. 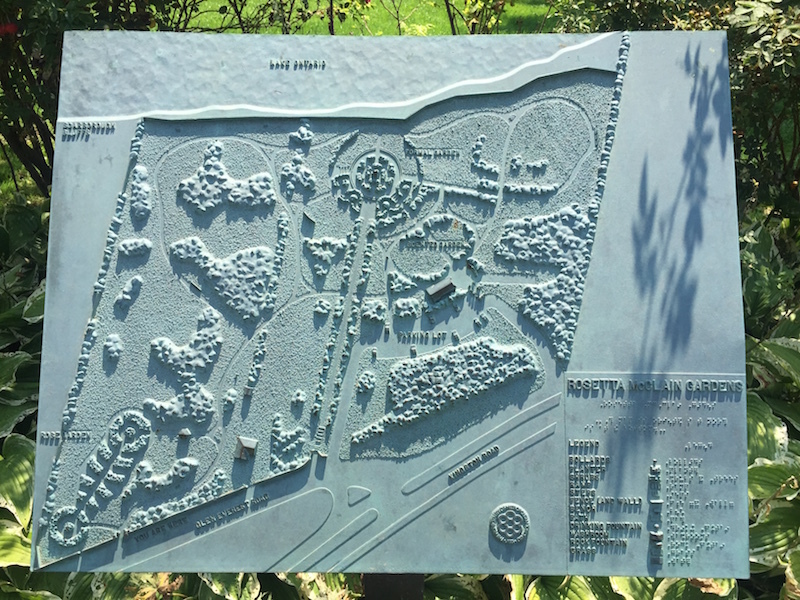 This park is also very accessible, with raised-bed gardens and Braille on the beautiful metal park maps that tell you what each part of the garden is (there’s a scent garden!). This was one of the most well-maintained parks I have ever been to in Toronto. The grass was so neat and fresh that I wanted to roll it up and put it inside my apartment. The flowerbeds were so colourful they looked like cartoons. Even the bees seemed friendlier. 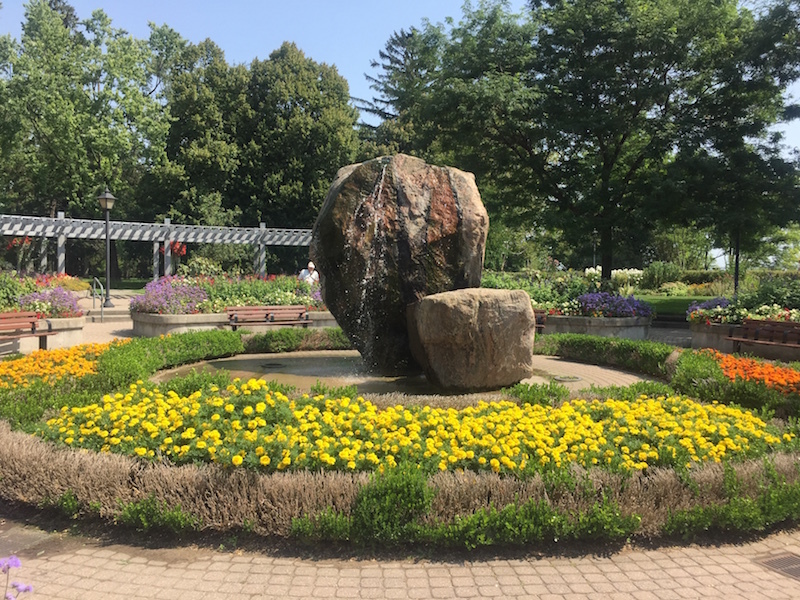 In the centre of the park was a wonderful circular plaza-style space with curved flowerbeds all revolving around a stone fountain that gurgled continuously. As you can imagine, the place smelled fantastic, rich and perfumey but not in an overwhelming way. And that’s when I saw the monarch butterfly. It floated past as delicate as something made of soap bubbles. And then another one came by. And then another. I waited, crouched, with a few other people trying to take photos of the papery little beasts as they flitted from flower to flower. I even got a slow-motion video on my iPhone, of which I’m quite proud. You don’t realize how strong a butterfly’s wings are until you see them flapping in slow-motion like tiny sails. Even though I had to let my park blanket stay rolled up inside my backpack, I still enjoyed sitting under a vine-covered trellis watching the butterflies. This park is pretty special. The sign definitely said no picnics. I should have taken a photo. Such a beautiful spot though!